This tour starts at lagoon at the back of the Crane Point property . 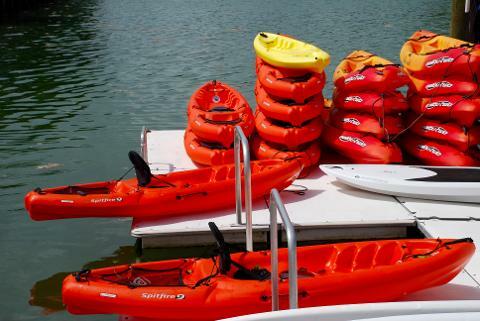 Our floating watersports platform is designed to make it easy to get in and out of your kayak and launch for an exciting tour. 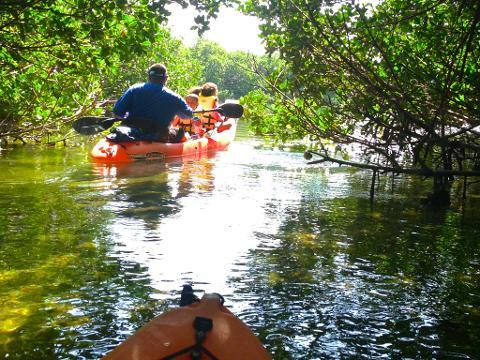 The tour makes its way out into the Florida Bay, under the bridge to the vast mangroves and nearby islands. We explore bird-laden islands as we weave through the tunnels and cruise over the crystal clear flats. 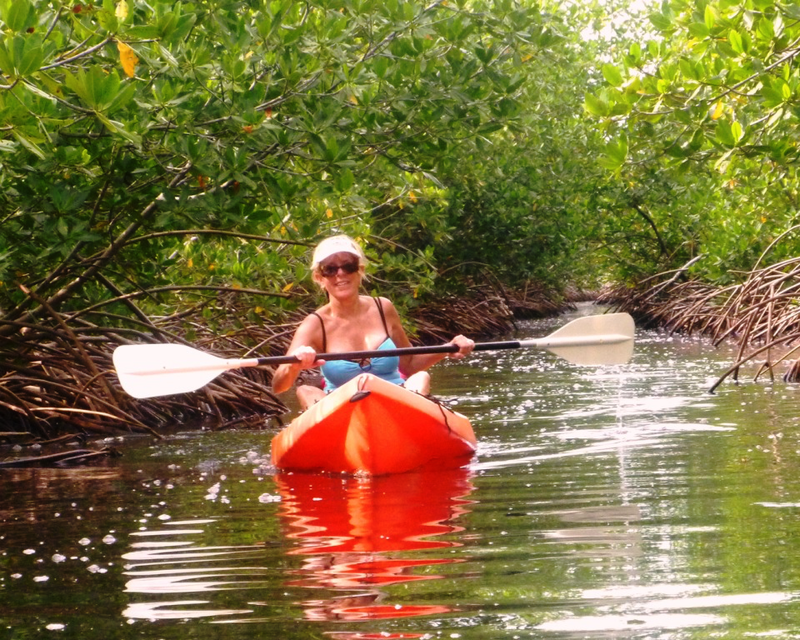 Witness the beauty of the marine life, hidden in the shallows within the mangroves and shallow water areas. There are marine mammals as well, during certain times of the year, such as manatees and dolphins. 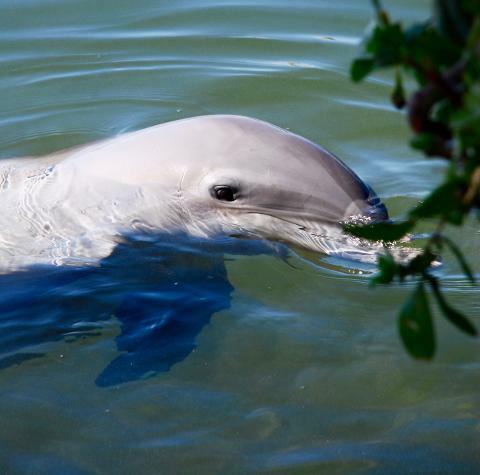 Watch mother dolphins showing her babies how to hunt and fish crustaceans. Saltwater tolerant plants line the shorelines with resident and migrating birds ever present. Sea grass beds protect juvenile fish and are also home to tube worms and mantis shrimp. 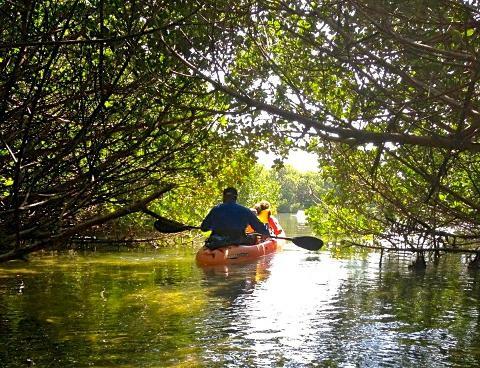 This is all part of a complex ecosystem here in the Florida Keys. This tour is for all skill levels focusing on the different animal and plant life of the region. 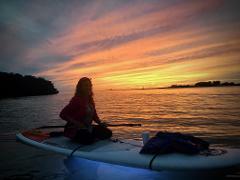 It is a one-of-a-kind experience! Upon booking, you will receive your receipt in a Email Confirmation. Bring your Email Confirmation with you on the day of travel.